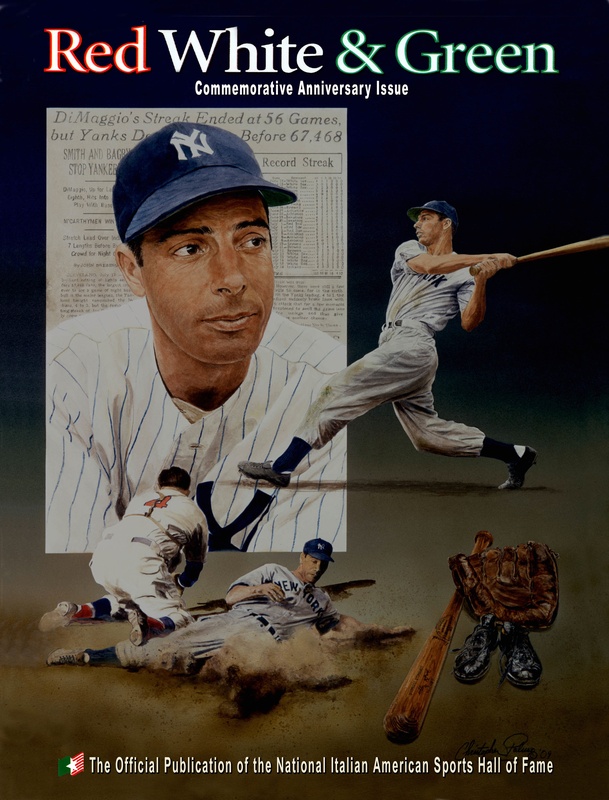 Chaperoned by his parents after just becoming a teenager, James Fiorentino took an artist’s leap of faith by bringing a prized Joe DiMaggio painting he had done of the legendary Yankee great to an autograph show that DiMaggio was appearing at. 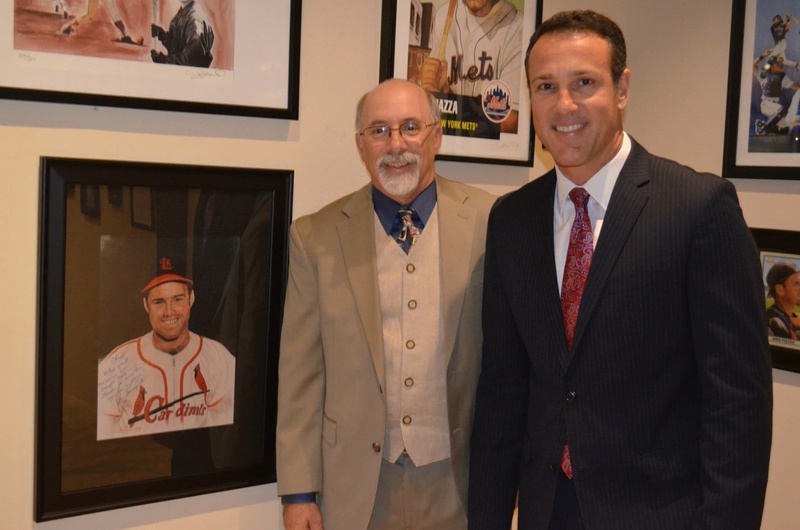 Fiorentino reminisced: “He was always tough at these things and usually didn’t sign artwork. He looked at me and said, ‘Oh my gosh! Did you do this?’ I guess for him to even say something was kind of a big reaction. He seemed to like it and autographed it for me. 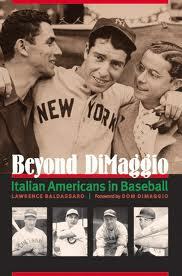 I met DiMaggio a few times after that. 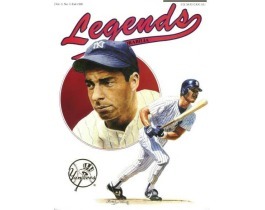 He was always very nice to me and would talk to me.” Not long after his initial contact with DiMaggio, Fiorentino became the youngest artist to ever be featured in the National Baseball Hall of Fame at age 15 with his portrait of Reggie Jackson. 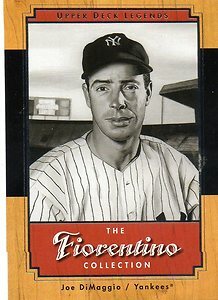 Although two decades have passed, Fiorentino to this day still treasures that signed Joe DiMaggio painting close to his heart. James Fiorentino was recently honored during a two-day gala sponsored by the National Italian American Foundation (NIAF) in our nation’s capital. 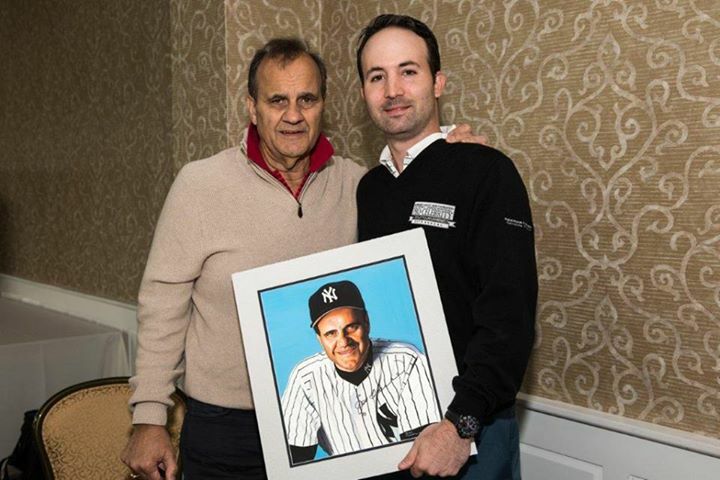 Proud of his Italian heritage and the contributions of Italian Americans in the arts and sports, he showcased some of his latest original artwork at the Washington Hilton Hotel and donated a painting of Yogi Berra (also signed by Berra) to NIAF’s celebrity luncheon auction as a way to give back to his fellow Italian Americans. 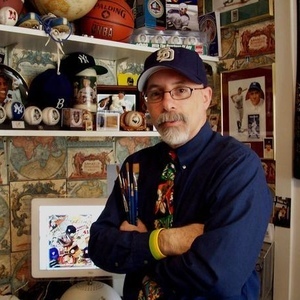 Featured on national and regional media outlets including ESPN, MSG, FOX, and the New York Times, Fiorentino is considered one of the best sports artists in the world. 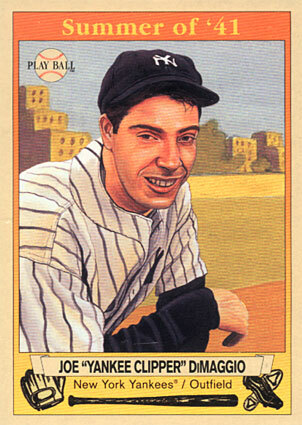 Each of the hand-painted retro-inspired cards found in 2003 Upper Deck Play Ball Baseball Card Series –including the Joe DiMaggio 56 card Yankee Clipper 1941 Hitting Streak Box Score cards and the Summer of ’41 cards–is truly a Fiorentino work of perfection. 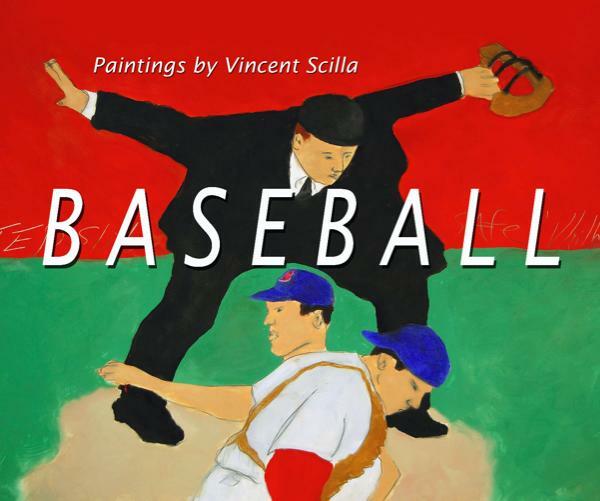 Art seen at JamesFiorentino.com has graced the walls of the National Basketball and Cycling Hall of Fames, the Ted Williams and Roberto Clemente Museums, the National Art Museum of Sport and the Sports Museum of America. 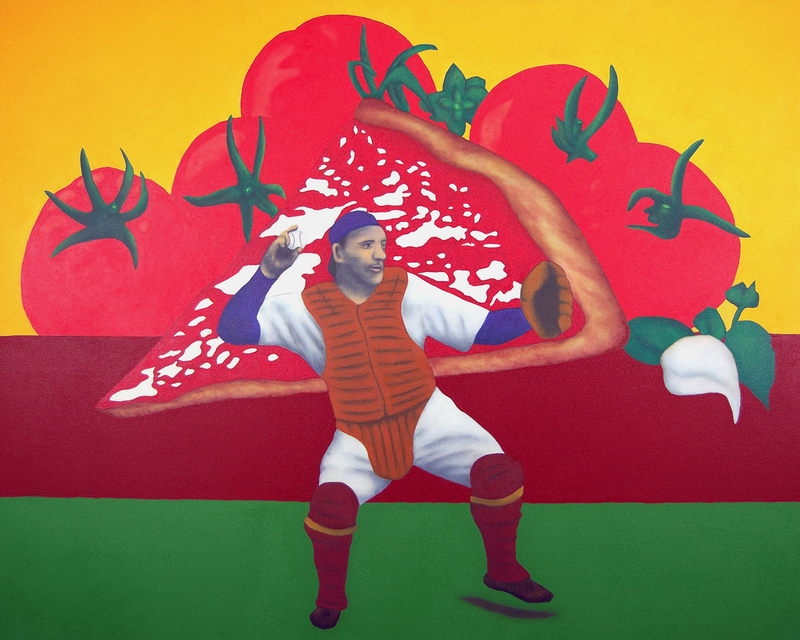 Fiorentino’s talent will be showcased next month at Convivio in San Diego’s Little Italy in an Italian American baseball exhibit paying homage to artists of Italian descent and Team Italy players and coaches in the 2013 World Baseball Classic. 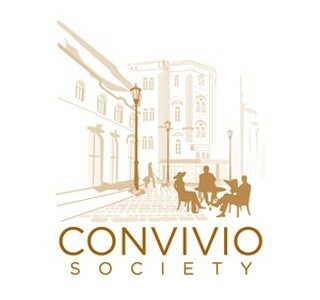 in the World Baseball Classic opens September 25th at Convivio, 2157 N. India Street in San Diego, CA. 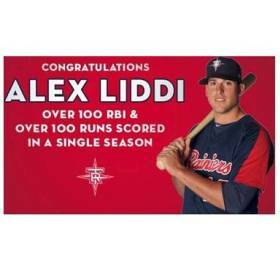 Some of the big names represented include future Hall of Famer Mike Piazza, 2013 National League All-Star and Pirates’ closer Jason Grilli, Padres’ Chris Denorfia, Dodgers’ Nick Punto and Drew Butera, Cubs’ Anthony Rizzo, Twins’ Chris Colabello, Orioles’ Alex Liddi, Mariners’ Brian Sweeney, Reds’ Mike Costanzo and Tim Crabbe, Giants’ Tyler LaTorre and MLB veterans Frank Catalanotto and Dan Serafini. 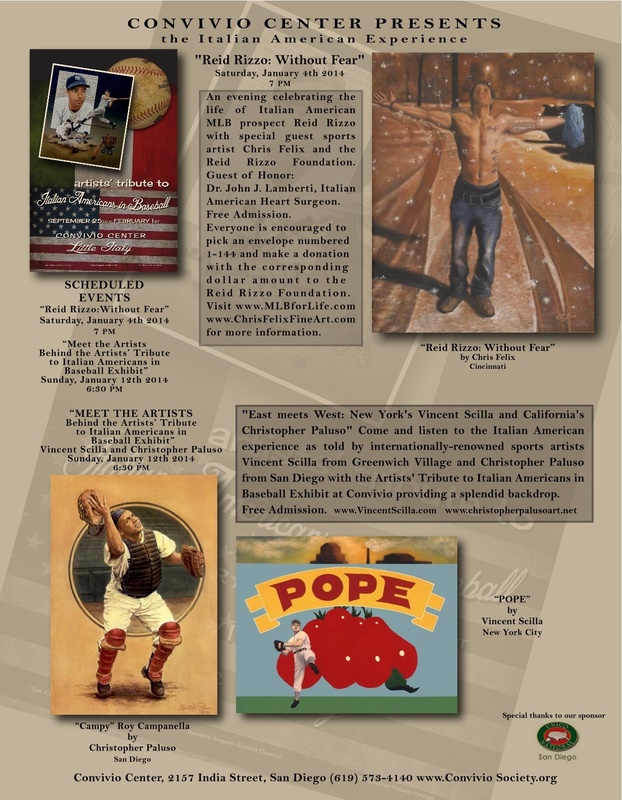 In addition to original work from renowned Italian American artists James Fiorentino, Vincent Scilla, Professor John Giarrizzo, Rob Monte and Zack D’Ulisse, other critically-acclaimed artists on display will include Vernon Wells Jr., Tom Richmond, Jeremy Nash and photographer Robb Long. 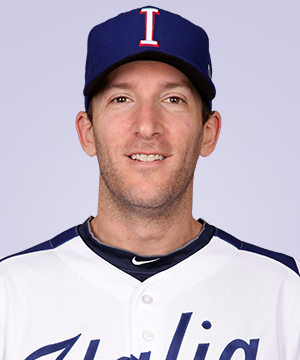 Buon Compleanno to Team Italia’s Chris Denorfia! 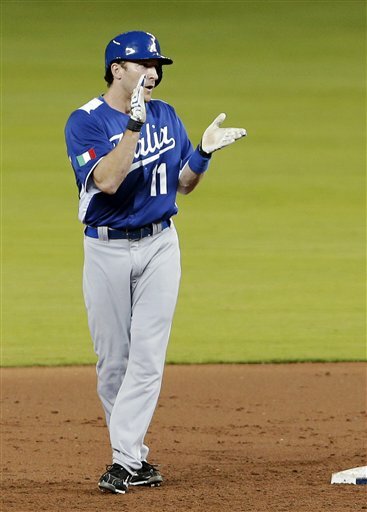 Italy’s Chris Denorfia celebrates after hitting a double against Puerto Rico in a second-round elimination game of the World Baseball Classic at Miami’s Marlins Stadium on March 13, 2013. 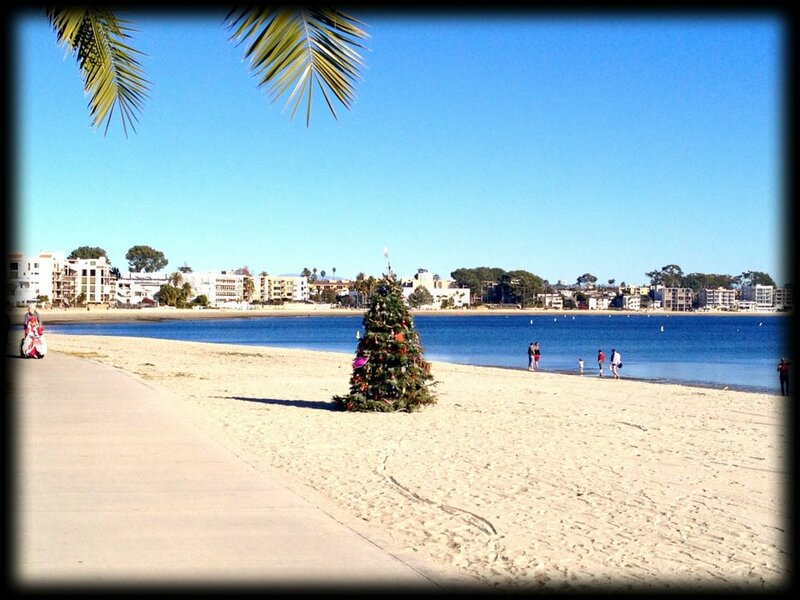 As Chris Denorfia turns 33 on July 15th, the love for “The Norf”–the adorned nickname for one of San Diego’s best–is felt all the way to Italy, where his paternal grandmother Michelina lived. The East Coast native first linked up with his Italian roots as a teenager while visiting relatives in Italy and returned again for more Italian family amore in 2002 after graduating from Wheaton College during a Euro backpack adventure. 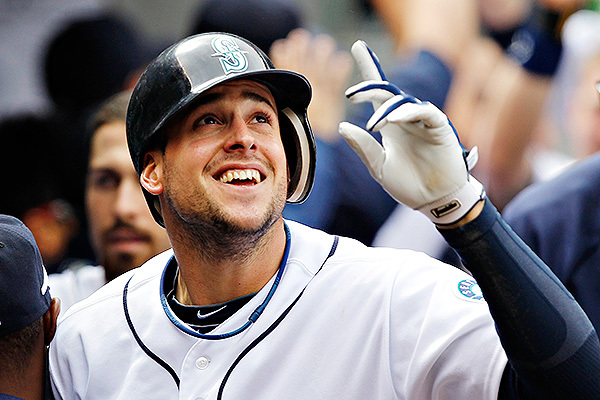 Having represented Team Italy in the 2009 and 2013 World Baseball Classics, Denorfia has a strong international following. 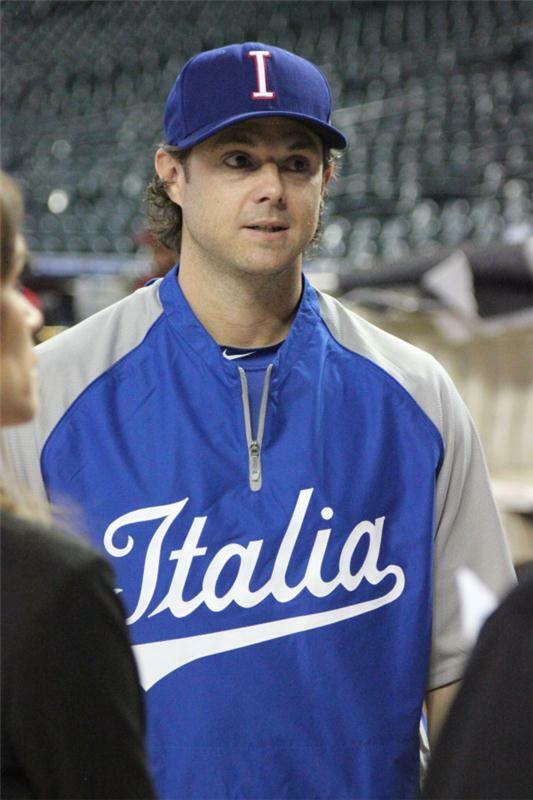 Along with Team Italy hitting coach Mike Piazza, both serve as mentors for young athletes abroad now interested in the game after Italy’s strong showing in the WBC. Your browser does not support iframes. 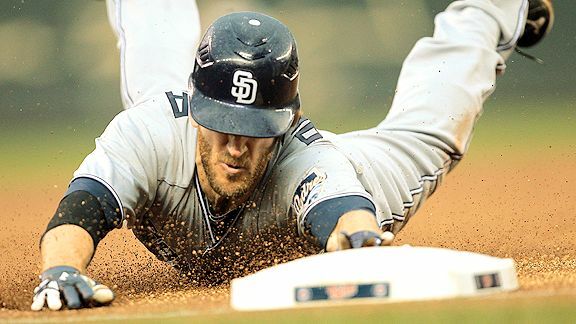 San Diego Padres’ Chris Denorfia was recently a guest on MLB Network’s “Intentional Talk”. The Friarhood is a great website for San Diego baseball fans who want the latest Padres coverage with updated news and analysis. 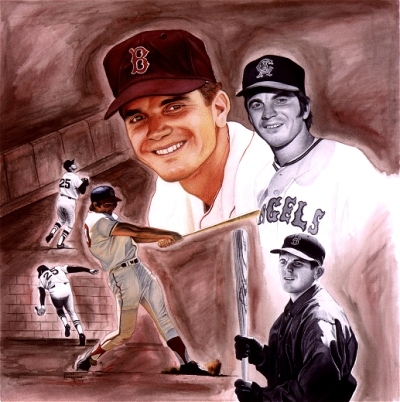 Writer Jeremy Nash not only provides the congregation with his uplifting “Five Good Things” column, but also showcases inspirational traditional and digital art featuring unsung hero Chris Denorfia. 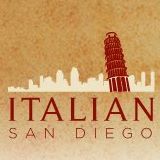 Successfully bridging the gap between the Padres’ faithful and lovers of modern art, the Friarhood’s Nash is just as much a rock star as Team Italia’s “Deno” in our book. 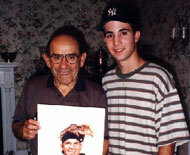 However, Denorfia possesses superhero power equipped with lethal doses of kryptonite to demolish left-handed pitching. One of his favorite targets is MLB All-Star pitcher Clayton Kershaw of the LA Dodgers. Deno has hit three home runs in his career 31 plate appearances against Kershaw. Kershaw’s losing 0-3 record and inflated 4.67 ERA against the 2013 Padres has a lot to do to Deno’s appetite for Dodger pitching (.342 BA, three home runs, two doubles and eight RBI in 11 games to date). 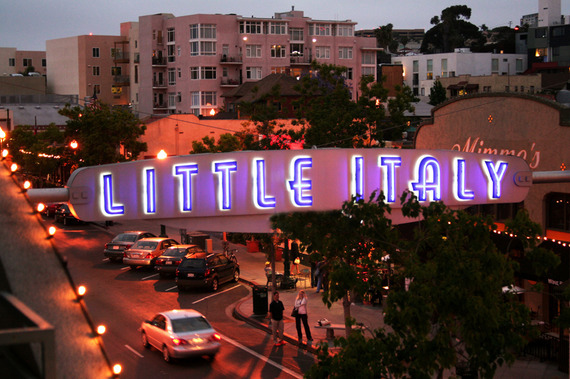 Join us for Little Italy Night when the Dodgers play the Padres at Petco Park on Saturday, September 21. 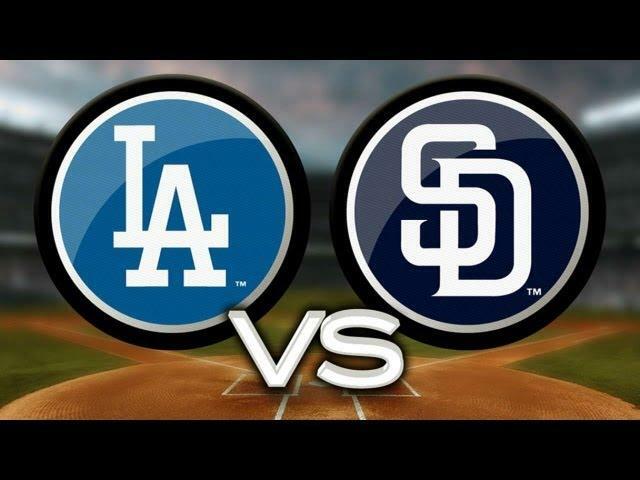 The Southern California North and South baseball rivalry will be in full effect with playoff hopes when the Dodgers visit Petco Park and battle the Padres on Little Italy Night on Saturday, September 21 at 5:40 pm. 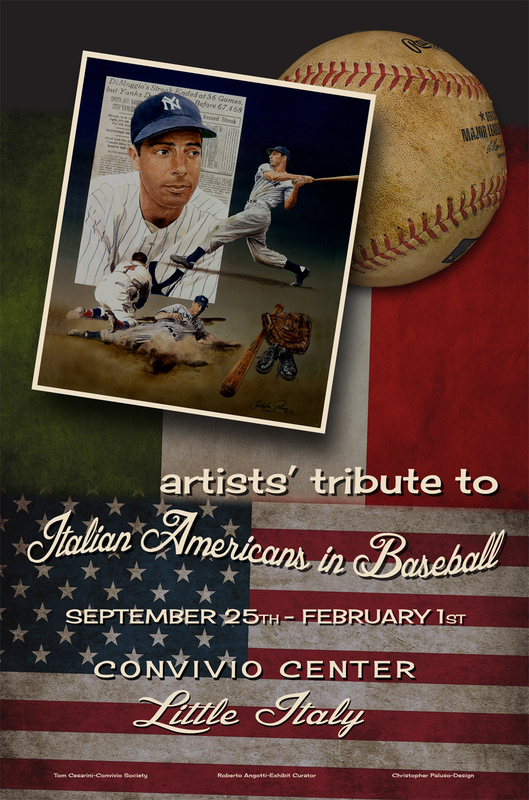 A pre-game ceremony honoring the Artists’ Tribute to Italian Americans in Baseball Exhibition at the Convivio Center (2157 India Street in San Diego’s Little Italy) will take place behind home plate prior to the first pitch. Longtime San Diego Little Italy resident and Padre alumni John D’Acquisto will be our honored guest at Petco Park. Padres’ Chris Denorfia is congratulated by Orioles’ Alex Liddi in the 2013 World Baseball Classic. Team Italy’s Chris Denorfia at the 2009 World Baseball Classic at Toronto’s Rogers Centre. 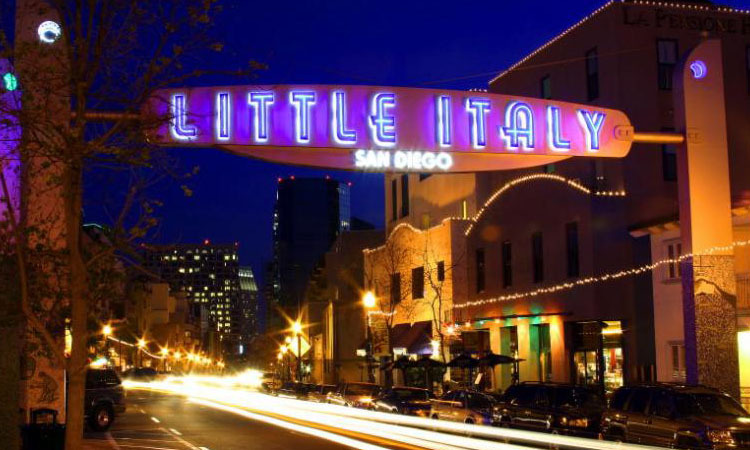 San Diego’s Little Italy is home to the Padres’ faithful who rally together before home games at Petco Park. 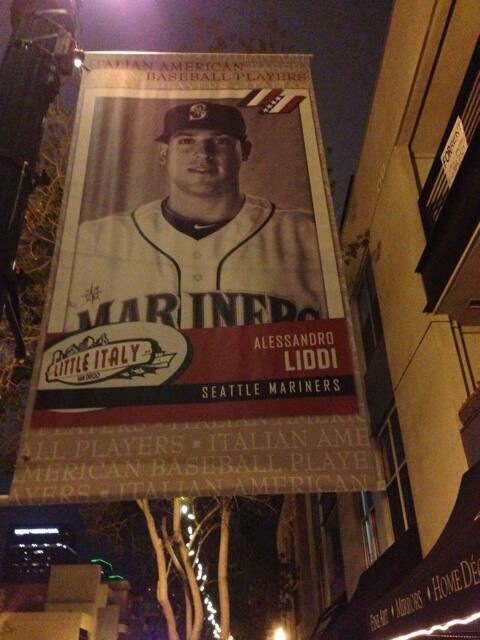 Coming off stellar performances for Team Italy in both the 2009 and 2013 World Baseball Classics, the love for Padres’ outfielder Chris Denorfia overflows well beyond San Diego’s Little Italy to the motherland where his paternal grandmother Michelina lived. 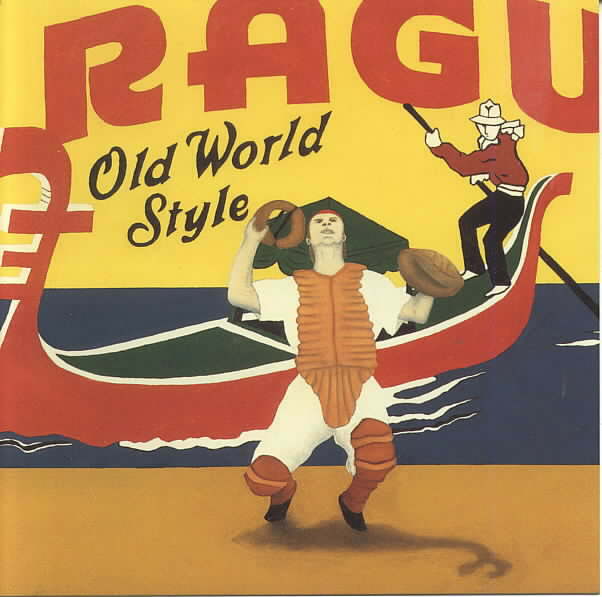 The Connecticut native first connected with his Italian roots as a teenager while visiting relatives in Italy and returned again for more Italian family amore in 2002 after graduating from Wheaton College during a Euro backpack adventure. 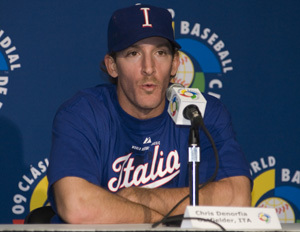 Team Italy’s Chris Denorfia speaks during a 2009 World Baseball Classic Press Conference in Toronto. 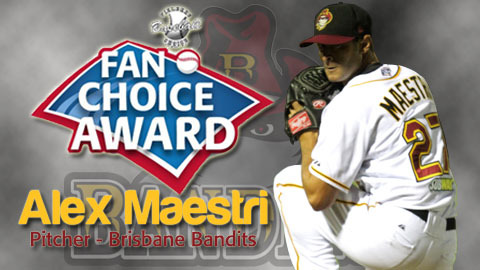 The sentiment for Denorfia’s return to Team Italy after a remarkable 2009 WBC campaign was echoed by the first Italian-born pitcher signed by MLB, Alessandro Maestri. 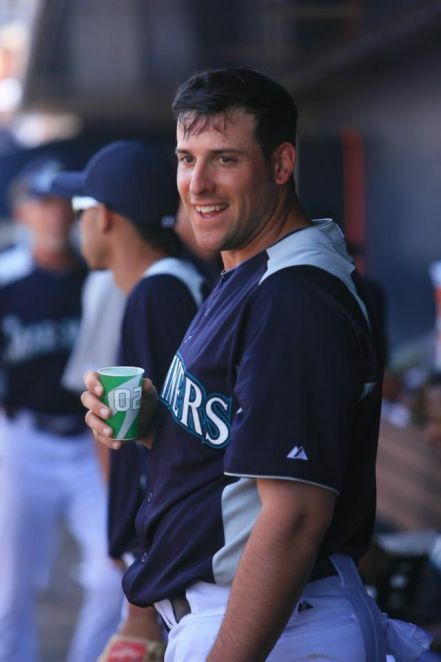 The former Cubs’ minor leaguer said, “A guy who had an unbelievable WBC tournament was Chris Denorfia. At the tournament, he really gave everything he had. 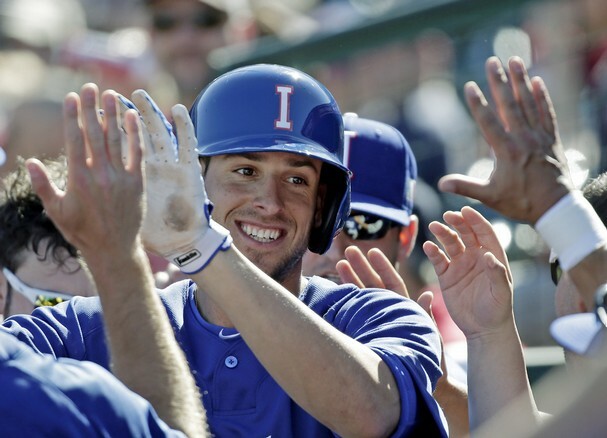 He made some great plays defensively and had some clutch hits so it’s going to be good to see him again.” During Italy’s 6-2 upset over 2009 WBC host Canada, Denorfia led the team in hits by going 4-for-4 with three doubles, a single, a walk, two runs and two RBI. 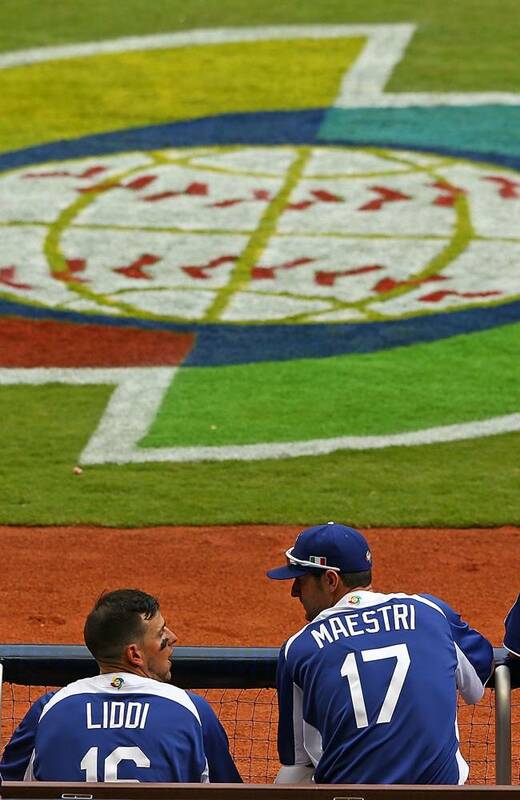 Team Italy hitting coach Mike Piazza described the two strike at-bat by Chris Denorfia against Mexico’s closer Sergio Romo in the 2013 WBC as one of the best at-bats he had ever seen. 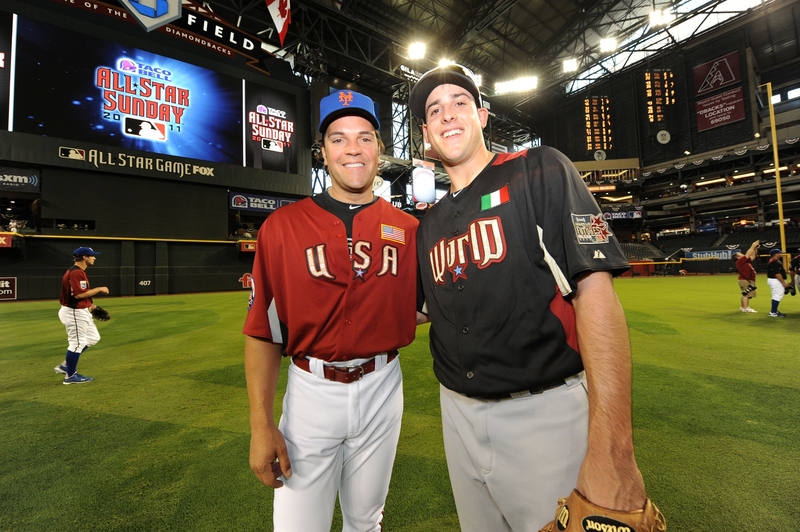 Nick Punto (left) and Chris Denorfia (right) gave Team Italy a lethal one-two punch in the lineup to defeat favorites Mexico and Canada in the 2013 WBC. 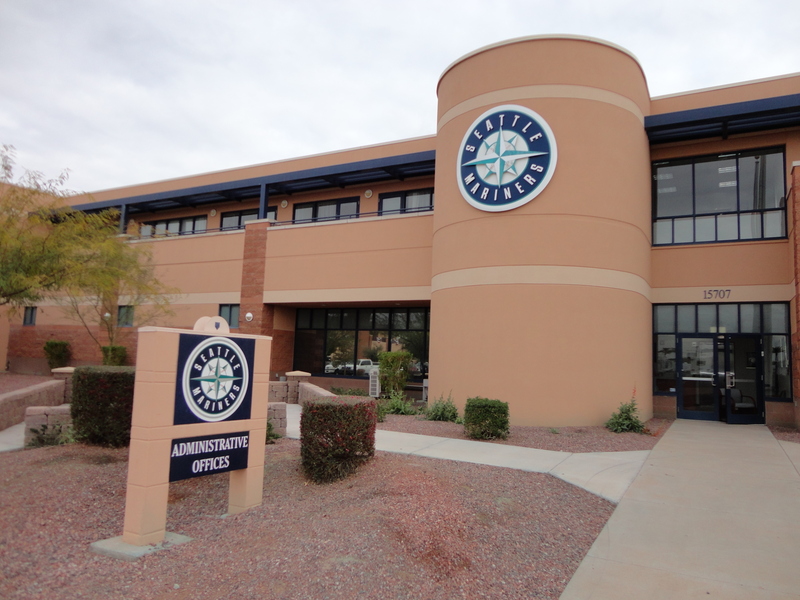 In their 2013 WBC opener versus Mexico on March 7th at Salt River Fields in Scottsdale, Team Italy began the ninth inning with odds against them facing the reliever who closed out the 2012 World Championship–San Francisco Giants’ Sergio Romo–and trailing by a score of 5 to 4. After Romo got a quick out to start the top of the ninth, the enthusiastic Mexican fans in attendance responded with precisely-timed chants of victory and fiesta-like antics. Team Italy leadoff hitter Nick Punto silenced the premature postgame celebration with the crack of his bat for a double. 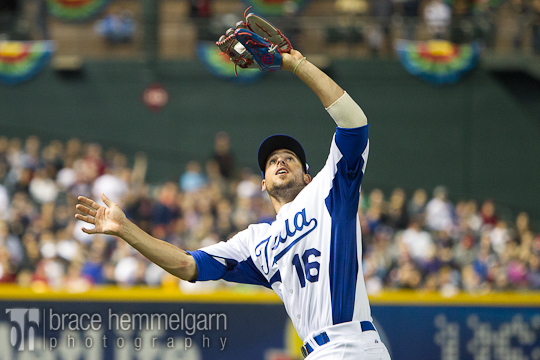 a 6-5 lead over Team Mexico in the top of the ninth at Salt River Fields in the 2013 World Baseball Classic. The small Italian contingency prayed for a miracle with Chris Denorfia up next. The right-hander Romo ignited the crowd once again after throwing back-to-back strikes. Down in the count 0-2, Denorfia exercised extreme plate discipline by taking three pitches just off the plate to work a full count. What happened next was unbelievable as Denorfia fouled off four straight pitches before lining Romo’s 10th pitch of the at-bat for a base hit. 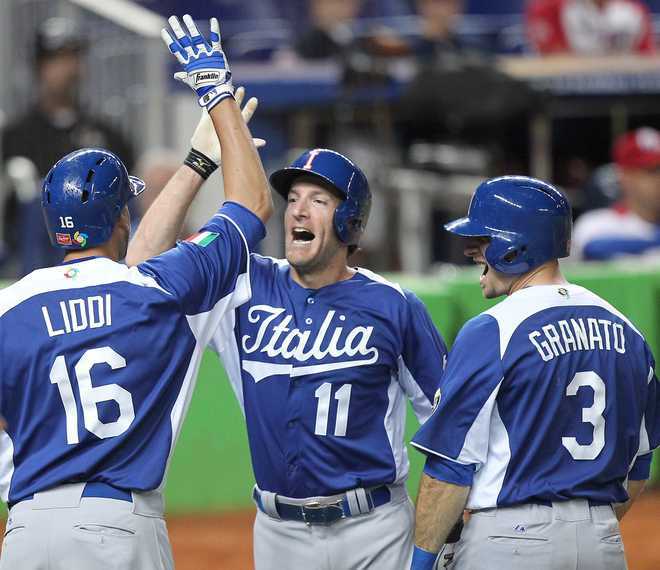 Chris Denorfia celebrates with Alex Liddi after scoring the winning run for Italy in their 6-5 stunning upset over Team Mexico in the 2013 WBC. 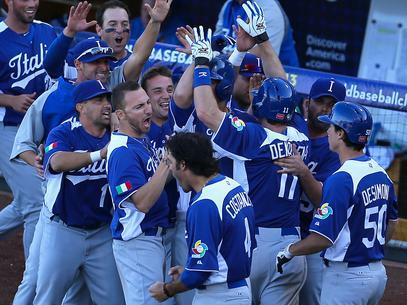 Chris Denorfia is congratulated by his teammates after going 2-for-5 and scoring twice against Mexico. Anthony Rizzo endured a similar fate as Denorfia by falling behind 0-2 to Romo with the crowd on its feet. 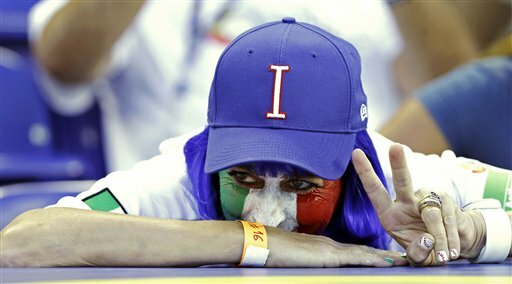 Italy had runners on the corners and one out. Mexico’s infield was set up for a double play to end the scoring threat and win the game. However, left-hand hitting Rizzo was thinking otherwise and drove Romo’s slider on the outside part of the plate deep to the left field warning track. 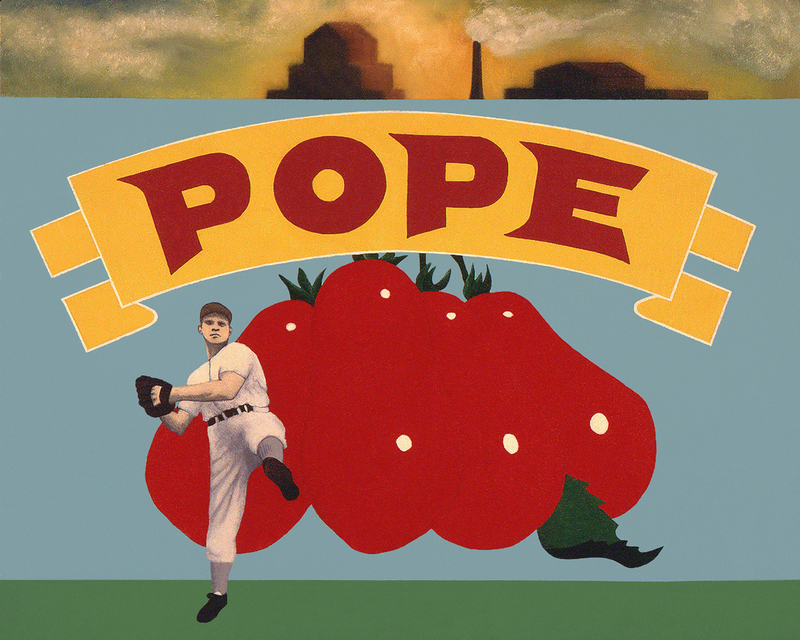 Whether Italian divine intervention or merely a Mexican mishap, the ball miraculously went in and out of the glove of Mexico left fielder Edgar Gonzalez for a two-run double and a 6-5 Team Italy victory. 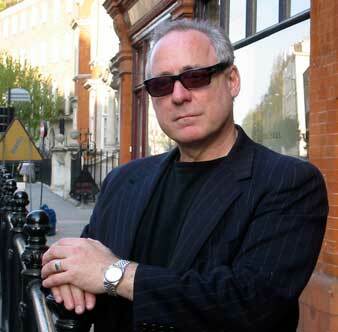 “The win over Mexico really got us going,” said Denorfia. “I think we surprised everyone in that game. We didn’t want to be that also-ran, the token team that everybody beat up on, and everyone responded. We had instant chemistry. The whole thing was amazing. It was like we were the road team the entire tournament. Some of crowds were a bit hostile to us. It seemed like every game we played, the crowd was against us — Mexico, Canada and the United States in Phoenix and then against the Dominican Republic and Puerto Rico in Miami. I’m there any time they’d like me to represent Italy. It was one of my best experiences in the game.” Chris Denorfia went 8-for-21 (.381) with two doubles, five runs scored and an RBI in five games for Team Italy. 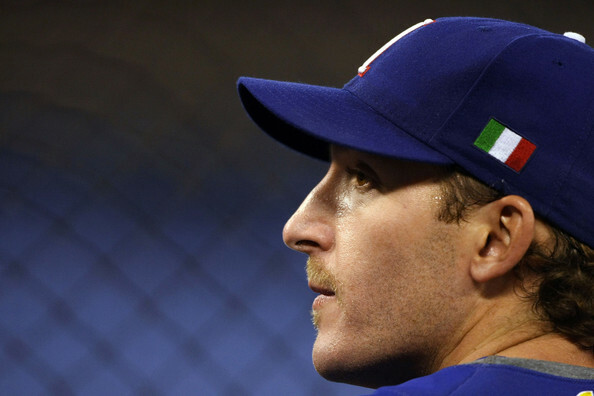 Chris Denorfia was integral to Team Italy’s success in the 2013 World Baseball Classic. 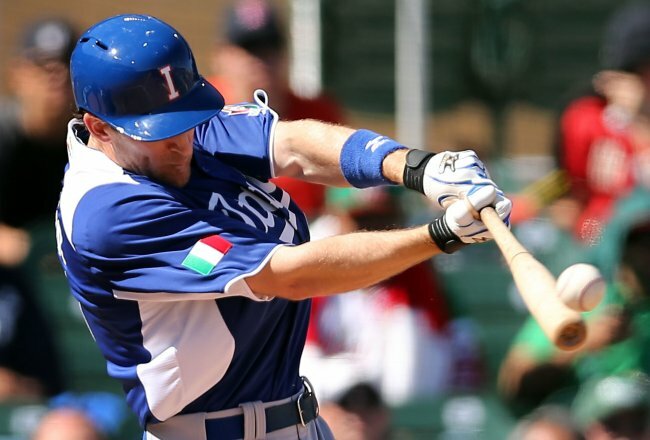 Chris Denorfia (of #TeamItaly fame) leads #Padres‘ everyday players in BA (.395), OBP (.465) and OPS (.965). 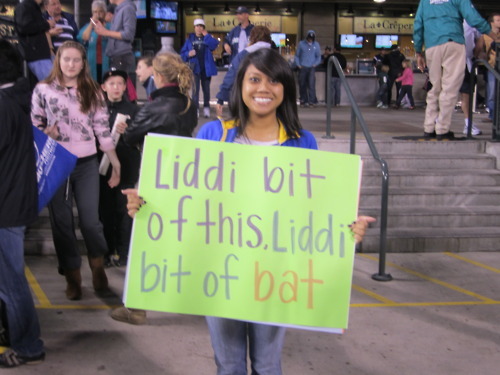 #MikePiazza must be very proud! @lobshots Chris Denorfia, Yonder Alonso, Mark Kotsay and Chris Denorfia. Chris Denorfia is one of my favorite ballplayers. The man never complains, always hustles, and contributes in every way possible. Nick hundley and Chris Denorfia are seeing the ball well. It’s sad that we’re 12 games in and the only reasons to watch the Padres are Chris Denorfia and the Fox Sports San Diego girls. Chris Denorfia would have had that. And we’re underway. Leadoff single for Chris Denorfia off Jon Niese. First pitch. 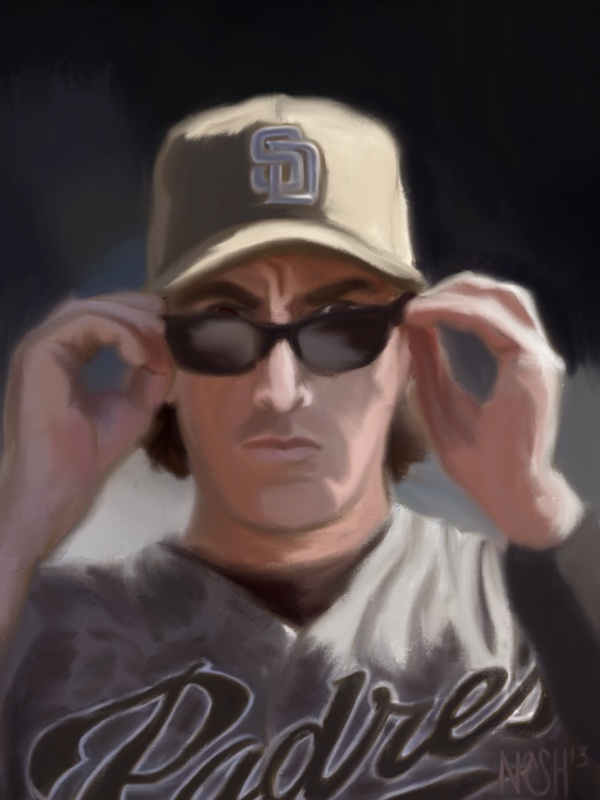 The SD Padres are blessed to have Chris Denorfia. 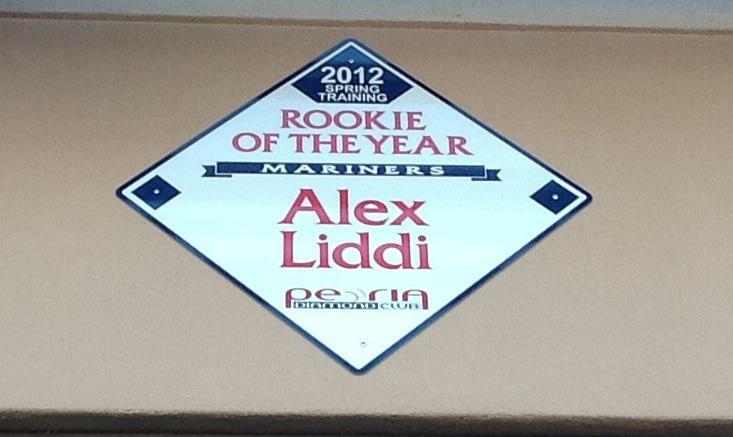 has the tools not only to become a National League All-Star but also a 2013 Gold Glove Award winner. 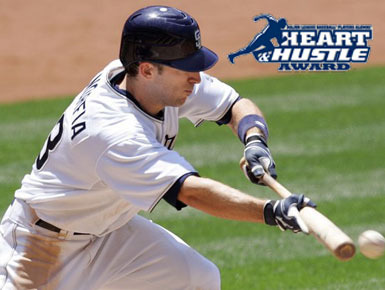 San Diego Padres’ Chris Denorfia was a finalist for the 2011 Major League Baseball Players Alumni Association Heart and Hustle Award.